"Why is there such a distance between the churches and the young people living around them? How can Christians engage with young people? How can they build relationships? How can they plan and develop their youth ministry? What practical skills do they need? Chapter headings: include: First things first; Go where they are; Making connections; Outreach strategy; Working together; Being professional; Handling aggression; Long term discipleship. For years John worked on Manchester's broken down estates, frequently dealing with aggressive, often drugged or drunk teenagers, and has learned the hard way how to diffuse tension, establish contact quickly, maintain boundaries, and also how to develop relationships over time and establish mutual respect. " 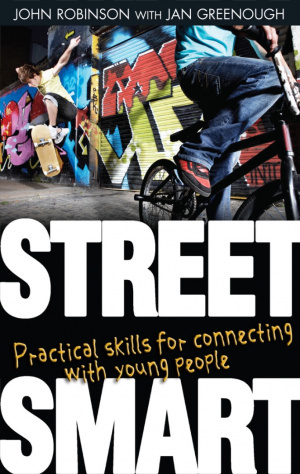 Street Smart by Jan Greenough; John Robinson was published by Lion Hudson in January 2011 and is our 26668th best seller. 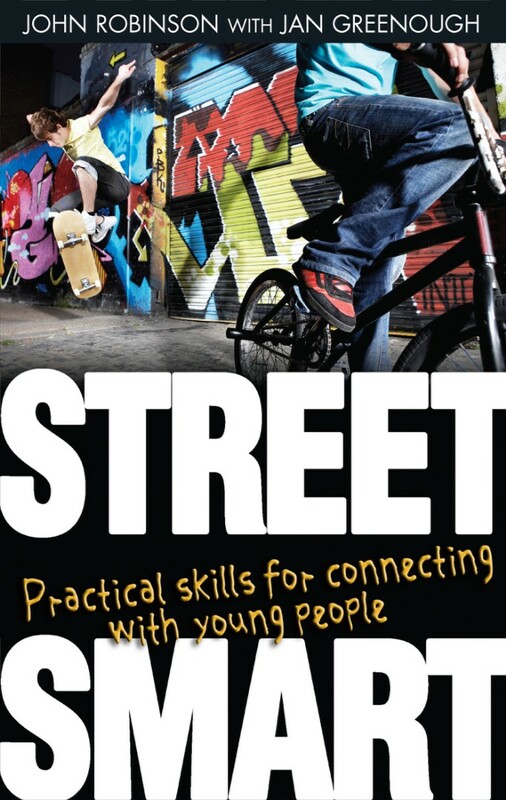 The ISBN for Street Smart is 9781854249036. This book is a must for those interested in doing real youth ministry and reaching outside the captive congregations youth and into the community. Subtitled Practical skills for connecting with young people it really does offer some strong insights and advice on what not to do alongside what to do when working with young people and outreaching. That said is this a ground breaking book? No, it says little not said before, however what it does do is set it out in a clean and concise manner that looks not back at the past but where we are today as a society and how we can work with things as they are. It is not a hearts and flowers book but it is a positive book on the things that can be done to reach the church beyond the boundaries and it is definitely something that is needed. If it reminds me of anything then I think it's probably that it's the equivalent of street pastor training for youth workers and on that level it's great. Definitely one for all churches and essential for new youth ministries. Got a question? No problem! Just click here to ask us about Street Smart.